Plastics News reported this week from the ChinaPlas tradeshow that the Japanese resin manufacturer Teijin "views full polycarbonate auto glazing as a long-term proposition" Truer words have never been spoken. I first wrote about the potential for polycarbonate glazings over 3-1/2 years ago. Prior to that post, I had worked with a client in the area a couple of years before that, and that client was already well established with a pilot plant for manufacturing, meaning that they were already a couple more years into the arena. That means we are already 8 years into the game and it is still a "long-term proposition" looking forward. I am quite surprised, as I would have thought that the latest upgrade in mileage requirements would have really helped out the changeover. Plastic is 33% lighter than the glass it replaces, but more than that, it allows for some incredible design options. Hyundai's concept car, the Qarmaq, hints at what is possible. C-shaped windows like that are just not possible with glass. 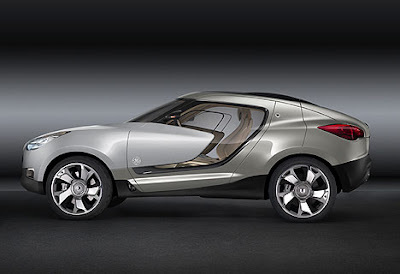 I'm no designer (look at the layout of this blog if you need proof), but what can be done with this new material could easily revolutionize automotive design in ways that few people can imagine. Science Magazine last week had an excellent review of fracking and water well contamination. It presented the technology in a fair manner although I think it was a little spotty on exactly how a gas well is dug and what can go wrong during this step that leads to contamination of aquifers. After all, the natural gas is located far beneath aquifers. How can it end up in someone's water well thousands of feet higher up? This picture from the article shows a typical well, but I don't think it is really obvious how the well ended up looking like that, what with all these different cement annuli, the decreasing width of the well with depth, etc. This is a 3-stage well. The first stage is the uppermost, widest part. The well is started with a large diameter drill (let's call it 12 inches just to have a number to work with) that drills down a certain distance. The drill is removed and pipe of a slightly smaller diameter (call it 11 inches) is placed in the hole. Wet cement is then shoved down the inside of the pipe and forced with a piston-like device to the very bottom of the well and then up into the annulus between the rock and the pipe. That's the first stage. The second stage is quite similar, but would start with a smaller drill, say 9 inches in this case. The drilling continues for another span, the drill is removed and then like before, pipe of a smaller diameter (call it 7 1/2 inches) is put in the well and similarly cemented in place. And so on for the third stage. The process is far more complicated than this in practice as the gas in the ground is under pressure and wants to exit the ground before anyone is ready for it (a la the Deepwater Horizon disaster) and this is where drilling muds and cement density and other factors come in. That is far too involved of a subject for today, but know that these are issues that need to be addressed by the drilling engineers. The key issues in avoiding water contamination is ensuring that the cement is properly set. If not, the gas then has an easy access route up to the aquifer along the annulus outside of the pipe. The inset in the picture above shows 5 different ways in which the cementing can fail. 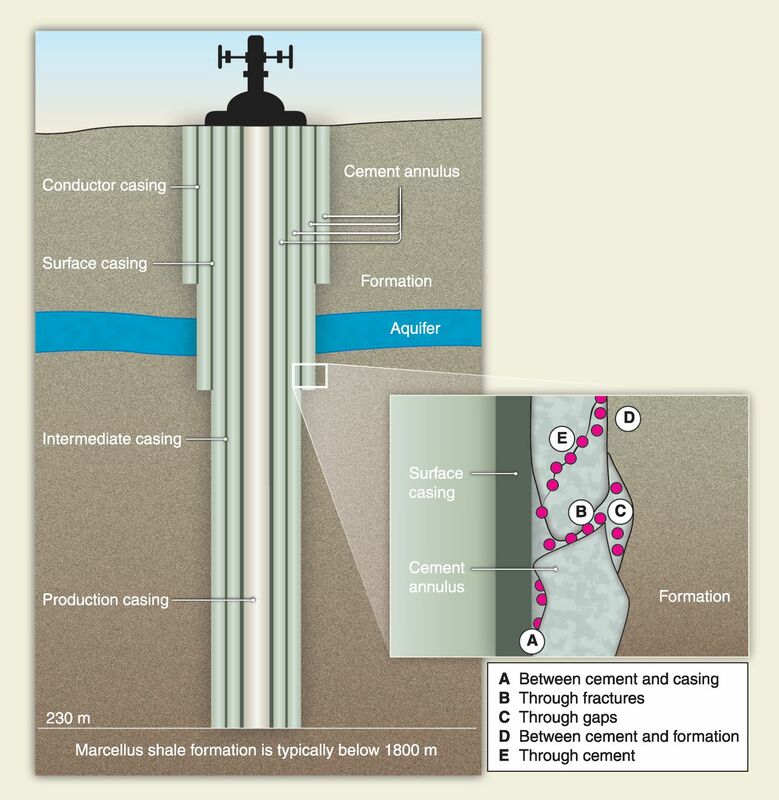 With fracking, there are additional concerns because different chemicals are driven into the rock formations to fracture (hence the term "fracking") the rock and increase the gas flow. And just like the gases, these chemicals can also end up in aquifers when the well is improperly cemented. I hope that clarifies for one and all how well construction occurs and that you can see the importance of doing it properly. A properly constructed well should not cause any issues to aquifers or the general environment that people encounter, while a poorly constructed one can be an environmental nightmare. This is no different than any other technology - mining, pulp and paper, chemical/auto/semiconductor manufacturing, construction...Any industry can be a boon or a bane to the environment. We have to decide how we want to proceed, but understanding the basics of the technology (something very few people do when it comes to fracking) is essential so that the decisions are not based on just fear and other emotions. 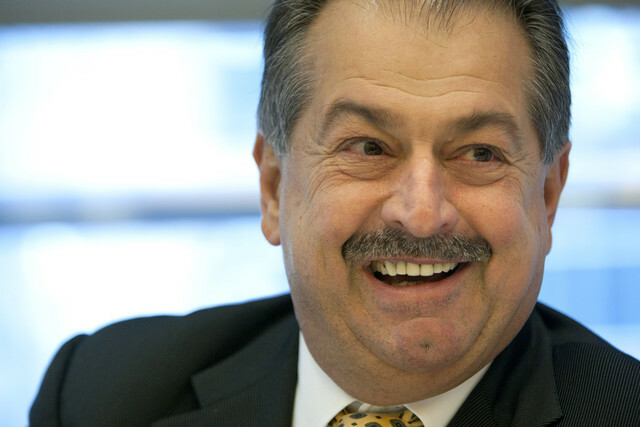 As promised on Friday, Dow Chemical has announced that they will appeal the $1.2 billion verdict against them for price-fixing polyurethance components. A close reading of the links above will show that the announcement actually preceded my prediction by about 30 minutes. I honestly didn't see the ChemicalWeek article on my Feedly reader until this morning, but since I am so good at post-prediction, how about I tell you that I think the winning Powerball numbers for last Saturday's drawing will be 22, 10, 13, 14, 52 with the PowerBall being 11. It's official. Dow Chemical now has to pay triple damages after being found guilty of price fixing urethane components. That means that the $400 million dollar fine that the jury established is now a whopping $1.2 BILLION dollar fine. $400 million is so small that Dow could have almost hidden that in the annual report, but with $1.2 billion, that is going to show up loud and clear. Do you hear that sound coming from the general direction of Midland, Michigan? That's the sound of lawyers furiously banging out their briefs for the appeals court. As I said back in February, Dow must be seriously regretting not negotiating a settlement, a step that all the other accused companies took. Overturning a judgement on appeal, or even getting the fine reduced is never easy as presumption is now working against them. (Innocent until proven guilty only works in the first case. On appeal, it's the opposite). Large chemical companies are constantly buying and selling the various divisions in their collection. Often the rearrangements make sense, and other times they don't. A couple of recent announcements from the business world capture this perfectly. First, Plastemart is reporting that the BOPP (biaxially oriented polypropylene) film operations of ExxonMobil are being sold to Jindal, an Indian company. This is following the trend of more-and-more BOPP being made by companies not headquartered in North America and Europe. Witness the recent acquisition of AET Films by Taghleef Films of Dubai. This trend has been going on my entire career. My first position out of school way back in 1989 was with the BOPP operations that were then part of Hercules. ExxonMobil was a competitor, but it was clear back then BOPP film was quickly becoming a commodity, so Hercules sold the division off to AET Films. Hercules was clearly ahead of its time since ExxonMobil is only now making the same decision 24 years later. Granted, Hercules had lots of financial problems and no longer exists. I would not expect the same future for ExxonMobil. Regardless, it makes sense that they are exiting a business with very small margins. On the other hand, the decision of Bayer to exit the carbon nanotube business makes much less sense to me. Sure, sales are not following the hyped hockey-stick trajectory that I'm sure marketing promised, but this is still a relevant and growing technology arena. I can't believe they won't regret the decision in 10 years. (Such decisions are easy to track since the business will still exist. Compare this to when a company deep-sixes a product entirely - it's much more difficult to regret such choices since you can't track how the acquiring firm did with the product.) Bayer certainly has the deep pockets needed to continue the effort, but clearly has chosen not to. This past Monday, the Minnesota Vikings  announced  the continuation of their long-term obsession with fluorine polymers. This love affair first started over 30 years ago when the Hubert H. Humphrey Metrodome (aka, the world's largest Kaiser Roll) was built and the team started playing their home games there. The roof is made up of polyethylene fabric that is held up by the higher air pressure in the building except for those couple of times when the weight from heavy snowstorms collapsed the roof. 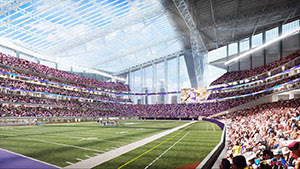 Through the kind generosity of the People of Minnesota, we are building the Vikings a new stadium so that the billionaire owner can become even richer than he currently is (it is apparent to one and all that he needs the money more than we do in this difficult economy). The new design was revealed on Tuesday (as shown), and lo-and-behold! the new stadium has a solid roof. No more Teflon held up by the ideal gas law. No, the new structure has a solid roof held up by the much more desirable van der Waals interactions. But wait, I said the love affair with fluorine polymers continues and it does. What appears to be glass in the new building is actually ETFE, a copolymer of ethylene and tetrafluorethylene. For the international readers, the Vikings are the local football team. American football. You know, the sport where the foot contacts the ball less than a dozen times in a typical 1-hour game that takes over 3 hours to play. I thought it was rather odd that the announcement was made at the Guthrie Theater, a world-renowned playhouse. For most football fans, it was probably the first and last time they would set foot in that place. "...Enzymoplast, which the firm says consists of proteins and enzymes that break down polyethylene "in a natural way". Enzymoplast triggers a decomposition process when plastic bags containing the additive come into contact with microorganisms. The microorganisms first devour the proteins, which breaks the polymer chain. It also activates the enzymes, which act as a catalyst and accelerate the process. After a few months only water and CO2 remain..."
While this sounds like a good idea, I question if we really want a degradation promoter in polyethylene films. If it is ever used, the films should be clearly labeled that they contain the promoter and that the these films should not be recycled. If they were to enter the recycling loop, the results could be rather unhappy, since as I discussed last week, many plastics become durable goods after being recycled. That durability could be threatened with such an additive. Considering that 90% of the US population lives within 10 miles of a plastic film recycling facility, the need for this innovation is rather dubious. "________ will prove the worst, most insidious invention of humanity. ________ kill everything and anything in their path on all four corners of the planet. ________ kill without violence, without warning and without provocation. Of all of humanity’s folly on this green planet, ________ take the trophy for man’s inhumanity to all other life on Earth." Is it guns? Bombs? Nuclear weapons? Chemical weapons? Warfare in general? Global warming? Nope. None of the above. The author of that quote believes that plastics are worse than all of those. Is there any point to responding in any fashion? Source. I altered the quote by leaving out the line "Plastics float, sink and never break down." as it is a dumb, contradictory statement that is pretty irrelevant to the author's main point. It also would have made it easier to guess that "plastics" was the answer. As if you wouldn't have guess that anyway. This is a blog about plastics after all. 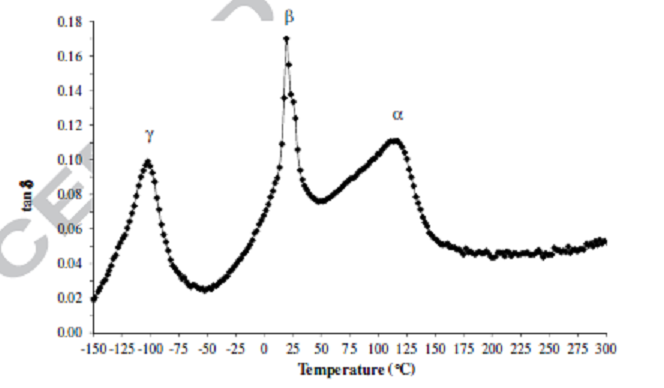 It's a simple enough question raised by a new research article (European Polymer Journal ($)): "What is the glass transition temperature of PTFE"?, but like so many measurements of PTFE, the answer always starts with "it's complicated". Even after 24 years in the polymer industry, the complexity of PTFE (polytetrafluorethylene) but better known as Teflon  still baffles me. It's not as if the underlying molecular structure is complicated. It is simply a perfluorinated analog of polyethylene, and polyethylene is about as well behaved as any polymer out there. But with PTFE, the material that is prone to incredibly simple questions with extremely difficult answers. Try these for starters: At what temperature does it melt? If nothing sticks to Teflon, how does Teflon stick to the fry pan? . Given all that, plus making measurements of the glass transition, which by itself is already a heated subject, the title are guarantees you a head-scratcher. You may come up with an answer, but it will be quickly followed by "it's complicated". Being a very simple macromolecule, PTFE crystallizes, so it may seem odd that PTFE shows a glass transition at all, as the transition is normally associated with amorphous materials. However, as is the case with all crystalline polymers, any given non-microscopic sample is only semi-crystalline. Because of the chain lengths and entanglements that arise from them, it is impossible for the polymer to completely crystallize. As a result, there is a significant amount of amorphous material trapped in the sample and this material is what exhibits the glass transition. 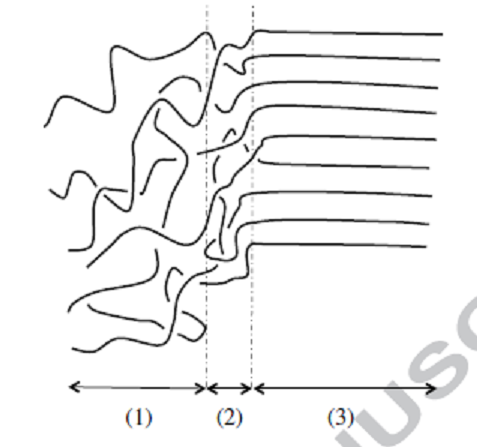 Using dynamic mechanical analysis, the authors found three transitions which they labeled, α, β and γ. The β-transition they quickly identified as a crystalline rearrangement based on existing research. Sadly, both temperatures for both the α- and γ-transitions showed strain rate sensitivity. I say sadly, as one of the unofficial, non-theoretically-derived observations of the glass-transition is that it is always sensitive to the rate of measurement. If either the α- or γ-transitions had NOT shown this sensitivity, one would have to believe that it was not the glass transition. 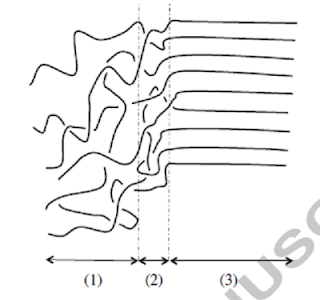 Ultimately the authors propose the existence of 2 amorphous phases as shown in this illustration. One is mobile (labeled as "(1)") and one is rigid (labeled as "(2)" with the crystalline regions labeled as "(3)"). These are believed to correspond to the γ- and α-transitions respectively. The authors ultimately then decide that the γ-transition is the "real" glass transition. This is all a little too much hand-waving for me. This is just a souped-up version of the fringed micelle explanation for polymer crystallization, something we seen discussed here before. The boundary between the mobile and rigid phases is visually clear in this drawing, but how can that be objectively stated? Teflon is actually the Trademark from Dupont for their PTFE. Other companies have their own trademarks for their own PTFE. 327 oC, but take that with a grain of salt. Even molten, PTFE doesn't flow like normal polymers, and adding more heat only degrades it that much faster. It's not surprising that LinkedIn had a recent discussion on whether PTFE is a thermoplastic or a thermoset. "Melting" PTFE is not like melting most other polymers. A few weeks back, the Atlantic ran a story provocatively entitled ""What if We Never Run Out of Oil?". The long and short of the 11,000 word article is that methane hydrates (ice crystals of methane and water that form under high pressure) litter the coastal ocean floors, and if the technology could be developed to recover them, we could see a future of abundant energy. (i.e., retrieve the icy-solid hydrates, bring them to the surface and you have methane gas separating itself from the water just from the drop in pressure.) The author is going so far as to suggest that a New World Order may arise, one freed from the petroleum-based wealth that we currently live under. I'm almost old enough to remember the promise of nuclear power: "Energy too cheap to meter! ", so I'm pretty skeptical that we will never run out of oil. But at the same time, I can assure you in the strongest words possible that we will be using oil for far longer than most people imagine. I've had only a few direct dealings with the oil industry so far, but one situation never ceases to amaze me. Deep-sea oil drilling rigs are currently being rented out for $1 million PER DAY. It can takes weeks to drill such a well, and those are all sunk costs (sorry about the pun) before the company recovers the first barrel of oil. But have you ever heard of any oil company not wanting to spend the money on another offshore well? Are the oil companies saying "No Mas!" to offshore drilling or "Drill Baby Drill!"? There are an endless supply of companies willing to take that million dollar a day bet. Compare this to the alternative energy sources being proposed. Is any one company investing in solar at a million dollars a day? (Not SELLING solar panels at a millions dollars a day, BUYING them.) Or wind? There are dozens of companies doing that in oil all around the world. There is nothing that is going to stop this train, short of the G20 agreeing on uniform and massive carbon taxes with no exceptions, and even at that, you might need to expand that to the G35 or G50. If you think that alignment is going to happen, then you would fall for the "too cheap to meter" line too. The only time the global economy will stop using oil is when we truly run out of oil. But if you think you are going to see this anytime soon, just remember that you are betting against a whole lot of smart engineers, not only in the US, but around the world. Those same engineers are why we now have fracking and oil from the Canadian tar sands. Those energy sources were known for decades, but lacked the technology to properly access them. Do you really want to bet that engineers are going to let a few thousand feet of ocean water stand between them and a new energy source? Those depths haven't stop the oil drillers and it won't stop anyone else. Dow and the Kuwaiti run Petrochemicals Industry Company (PIC) decided to form a joint venture. PIC was to give Dow some money for the assets Dow was providing, but PIC pulled back from the deal since the price of petroleum was falling and they needed the oil revenue for the deal. Unfortunately, Dow had already planned on using that money to buy Rohm and Haas, so things got hotter than the Kuwait desert at noon on the Solstice. The lawyers got involved, Dow prevailed and finally, after nearly a years delay, got paid. I'm glad it all worked out in the end. And since "Kuwait Petroleum won’t take “retaliatory or punitive actions” against Dow as a result of the payment", this should be the final, final word. It’s time that we laid to rest the notion that recycled plastics are “downcycled”. Downcycling is a recently popularized word use to describe recycling (more accurately, reprocessing) of a material where the new product is “less valuable” than the products from which it is formed. Plastics are often accused of being downcycled. The most commonly given example is that of plastic bags being turned into park benches, but other examples exist too such as water and soda bottles being turned into fleece clothing. There are 2 problems with this definition. The first is that it places value judgments on products forcing one to decide what is more desirable as a product. Is a park bench really any less desirable than a pallet of plastic bags? Not everyone will agree on these decisions. Considering that in many cases, a single-use disposable plastic is being turned into a durable good, I would think that anti-consumerism sentiment would favor these products, but that doesn't seem to be the case. There is something a of a factual basis for disliking reprocessing since it is well known that plastics are degraded every time that they are processed [*] – the molecular weight decreases because of the extra thermomechanical cycle. The logic then is that this degradation inherently devalues whatever the plastic is recycled into. If those single-use water bottles become t-shirts, it’s downcycling. If those single-use plastic bags become wood/plastic composite decking, it’s downcycling. If a disposable plastic of any sort ends up in a non-disposable plastic, it’s downcycling. The problem with this argument is that ALL recycling of all materials (plastic or otherwise) must therefore be considered downcycling. Plastics we’ve already discussed, and most people are not too surprised to learn that paper (which is also based on organic macromolecular molecules) is degraded as it is recycled. Just like the polymer chains degrading plastic, the fibers in paper degrade and so office paper becomes newspaper becomes cardboard becomes tissue paper. But certainly no one suggests that we stop recycling paper because it is degraded. So why is that accusation made against just against plastics? Metals are commonly thought to be above downcycling. It is widely claimed that aluminum cans become new aluminum cans, but it is a little more complicated than that. The cans contain about 4% organic materials from the label that must be removed and made up for with virgin aluminum. In the melting process, various salts form that need to be removed and made up for with new aluminum. (Take a look at the complicated flow diagram on page 3 of this article and don't tell me recycling cans just means remelting and reforming them). In other words, new cans cannot be made from just recycled cans. It is not a closed loop. The recycled aluminum need to be tinkered with. The same is true with steel. There are endless grades of steel that become mixed together in a recycle stream, and while the final product is steel of some sort, it also needs to be monkeyed with to be usable. So just like recycled paper, the reprocessed metals are not as good as the original material, but no one suggests that we stop recycling them. So why is bias against recycling plastics? But let’s turn back to our initial example of plastic bags and milkjugs being turned into park benches and how the park benches are just not “valuable”. The strongest argument against these products being less valuable is that many polylumber and wood plastic composites (WPC) are in fact made from virgin resins and not recycled resins. Trex is able to make their WPC from recycled plastic, but others are not. So is a park bench made from recycled plastic less valuable than one made from virgin resin? If you can’t tell the difference, then there isn’t one and this whole distinction of valuable/less valuable goes away. As does the term downcycling. The same goes for clothing made from PET. While some clothing is made from recycled PET bottles, most PET based clothing is made from virgin resin. How can anyone state that one garment is less valuable than the other? Does it really make more sense to make durable goods from virgin resins? To drill another oil well for the petroleum needed to make the virgin resin? Should we just landfill all the plastics instead? (or burn them to create electricity such as is done with the garbage here in the Twin Cities)? If not, then it is time to recognize that recycling plastics is a disposal option that should be pursued further. Recycling rates for all materials, not just plastic are unacceptably low, but poo-pooing the recycling of plastics as "downcycling" will do nothing to increase them. The term should be dropped from all usage as it is of no value at all. [*] There are processing aids that can be used for many plastics to negate or in fact overcome these issues entirely. I've ranted and raved in the past here and elsewhere about my dislike for "Designed Experiments", which are often abbreviated as DOE's (Design of Experiments). "They give you no or little insight as to what underlying principals could be learned and used elsewhere - except to run another DOE. For instance, in a pressure-sensitive adhesive formulation DOE, you may see that adding more tackifier increases the tack. So marketing wants more tack? Then add more tackifier...until you suddenly see a decrease in tack. Now what? The problem is that the underlying physics drive the results, not an artificial concept like tack. When you see that the tackifier is lowering the plateau modulus (hence more tack) but also increasing the Tg, you realize that you can overdo it. Raise the Tg too much and you have a tack-free material, plateau modulus be damned. But a DOE will never educate you about this. It will only give directions based on what the inputs were. Garbage in, garbage out. There is a good reason you never see a DOE in Nature, JACS, or pretty much any scientific journal. You don't learn anything fundamental from them. And as soon as we give up our focus on the fundamentals, we are all done." The overwhelming appeal of designed experiments is that they allow you to change multiple variables with each run and hence the overall number of runs. But engineers long ago learned how to get around that - use dimensionless numbers. As an example, for fluid flow through a pipe you have to worry about the viscosity, the diameter of the pipe, the density of the fluid and its velocity. That's four variables and quite a bit of work in front of you. But a bright engineer named Reynolds found that if you multiply together the diameter, density and velocity, and then divide by the viscosity, the number is dimensionless. The Reynolds Number was born. The beauty of it is that you only need to worry about your results at various Reynolds numbers, and how have the freedom to change the input variables as you desire and in whatever way is easiest for you. You are in control of the experiments, not the "design" spit out by a computer. Reynolds had insight into the fundamentals of his system through the Navier-Stokes Equations but such fundamental understanding is not needed. The Buckingham Π-Theorem allows you do derive dimensionless numbers from any of the potential variables for a system. There are dozens of similar dimensionless numbers, but the unfortunate part is that they are mostly used by engineers and seldom used by scientists, and hence, DOE's will continue to haunt us. Sometimes I come up with postings that are so chemically oriented that I know most readers won't want to see them. So I guest post them at The Chemistry Blog. Today is one of those days. If you want to get into the hairy details about copolymerization of elemental sulfur, head over there for a look.